Exceptionally moist, it almost has the texture of a Tres Leches Cake. 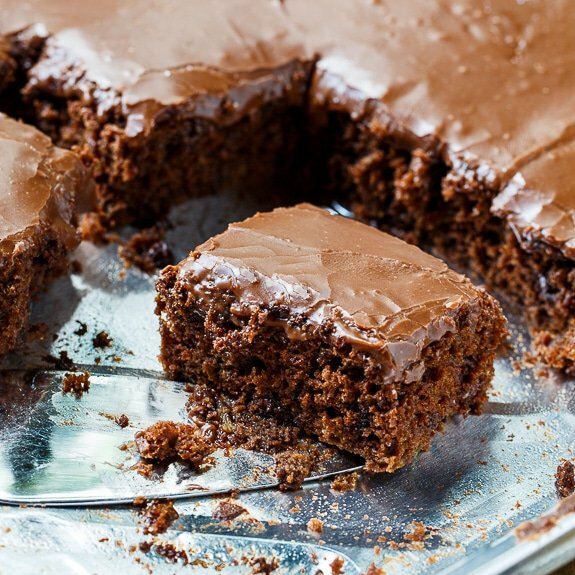 This recipe uses a cake mix so it’s super quick and easy to throw together. I add some crushed pineapple to the cake mix plus I spread more pineapple on top of the baked cake. Holes are poked all over the top of the cake. This is the most fun part. Besides eating it of course. 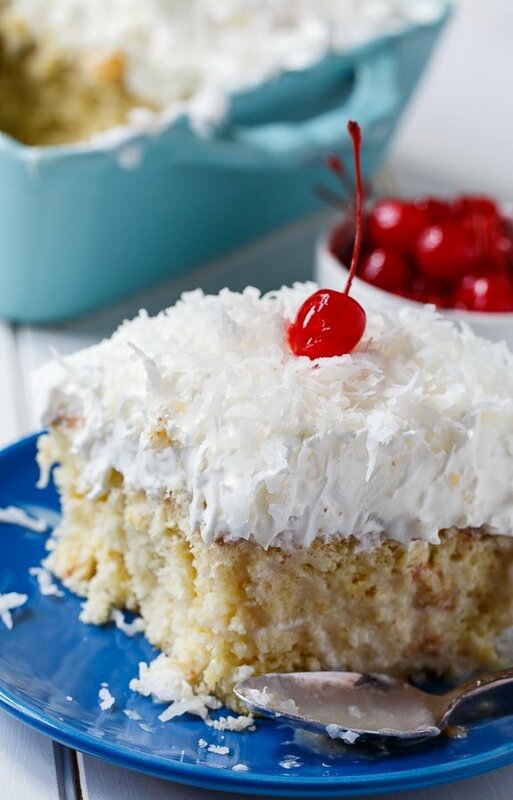 A mixture of sweetened condensed milk and cream of coconut gets pored on top just like you would with a Tres Leches Cake. Your cake will look way too saturated when you pour this mixture on top. But don’t worry. The cake is going to yum it all up.. It will take some time in the refrigerator for this to happen. This cake requires patience. 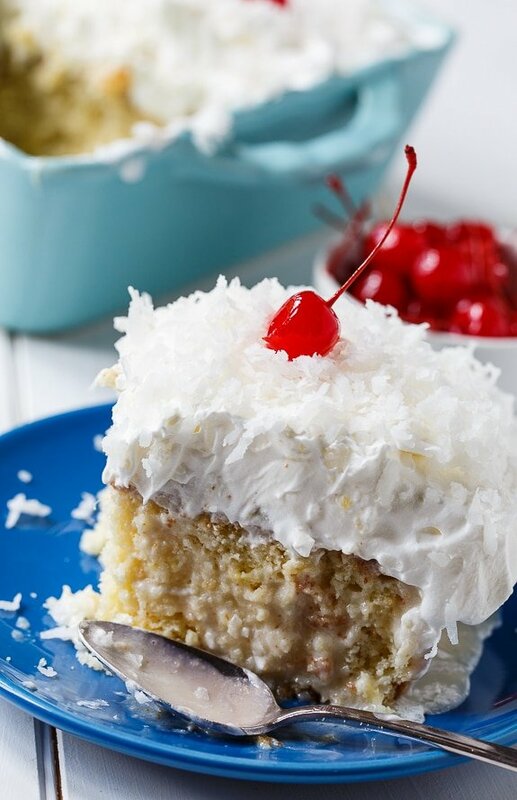 A nice thick layer of Cool Whip topped with shredded coconut, plus a few cherries finishes Pina Colada Poke Cake off. Coconut. Pineapple. A cherry on top. Who can resist a cherry on top? 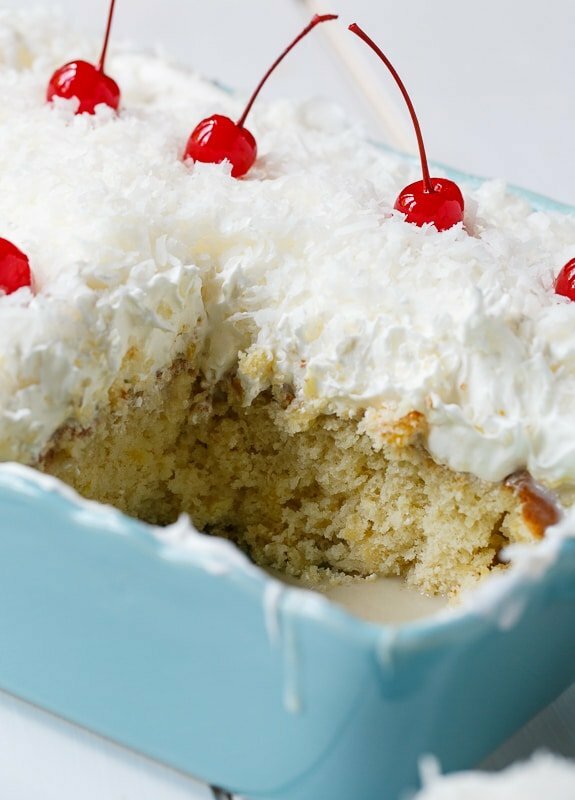 This Pina Colada Poke Cake makes a winner for a summer potluck. 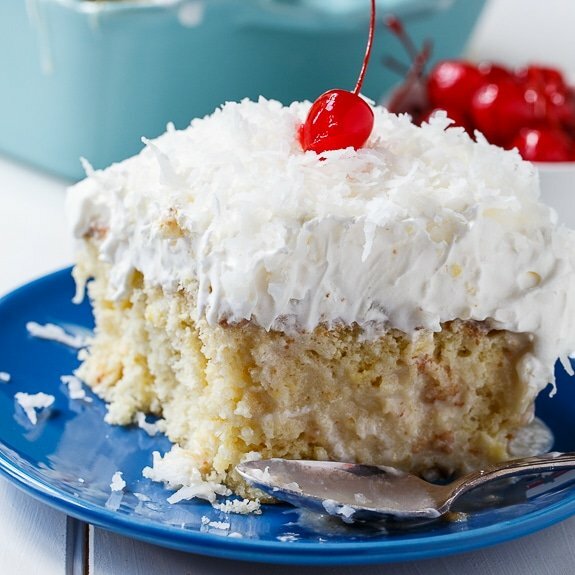 With the tropical flavors of pineapple and coconut, Pina Colada Poke Cake is made for summer. Easy to make with a box of cake mix and Cool Whip. Cake mixes used to be about 18.25 ounces but now most of them are around 16 ounces. I used to make a cake such as this one in a 13X9-inch pan, but since the new cake mixes bake up thinner, I often use a smaller pan to get a thick cake. The pan in the pictures is slightly larger than 11x7-inches. This entry was posted in Cakes, Desserts and tagged cake, coconut, pina colada, pineapple. Bookmark the permalink. This is a great recipe! We don’t have ‘dairy whip’ in Australia, so I just cream and beat it in electric mixer or stick mixer. My guests have loved it too..
What an incredible looking poke cake! Love the pina colada flavors! I have such a weakness for condensed milk – even though I am lactose intolerant! 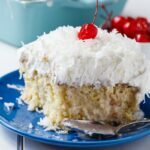 Christin, this cake sounds so good – love the condensed milk and pineapple and coconut/whipped topping – heck – I LOVE everything about this! Love everything about this! Such a fun tropical flavor in a poke cake — and I’m all about shortcuts when you’re in a rush! I always have my cupboard stocked with emergency cake mixes. Pinned! 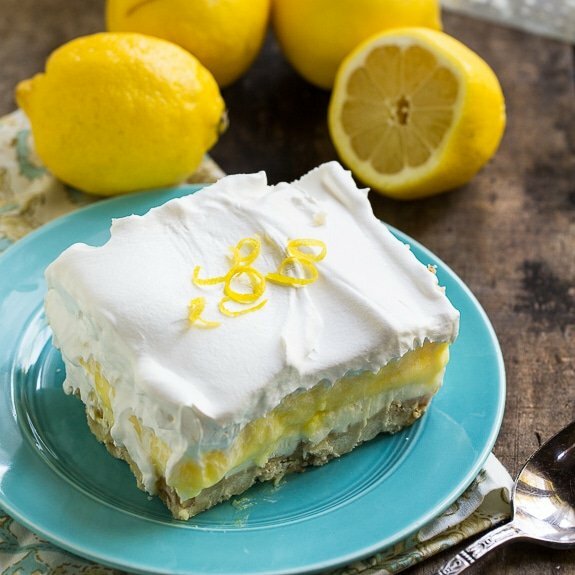 I love poke cakes- this pina colada version is so summery! This looks heavenly! I’m dying to dig into one! That cream of coconut and sweetened condensed milk mixture sounds insanely good…I would be tempted to drink it. Pinning! Christin, this cake looks seriously moist and oh-so-YUM! 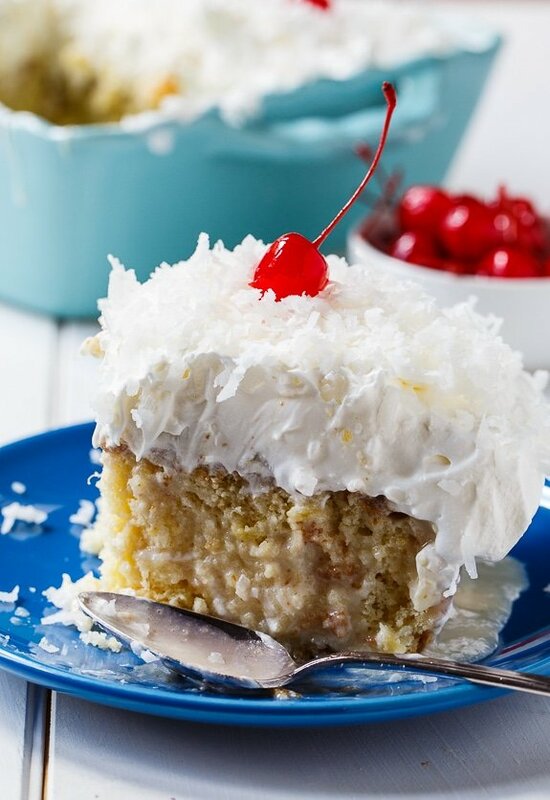 I love Pina Coladas, especially in the summer, so I totally adore the fact that you took one of my favorite drinks and turned it into a cake!! Genius! I have never actually made a poke cake before, though I have devoured my fair share! Guess I am going to have to change that, because this cake is calling my name! And while patience isn’t one of my virtues, I will have to get some because this cake needs to happen! 🙂 Cheers! This poke cake looks amazing! Plus I love how you make it pina colada flavored! Christin, this cake looks amazing! I’ve never made a poke cake before, so I think I need to start with this version. I love the flavors in here!